As a healthcare professional, you certainly understand the importance of annual and semi–annual physicals and doctor visits. By scheduling these regular visits and check ups, you are likely to stay ahead of any issues by being proactive in your personal health. When you visit your doctor, he or she asks a series of questions, takes your vitals, and looks for any warning signs or potential health risks. Your doctor knows your personal and family health history, so by staying on top of the visits, can ensure that even if a problem does arise, that you are able to get the prescription or make changes to your lifestyle in a proactive manner – not a reactive one. How does going to the doctor for an annual or semi–annual check up relate to your laboratory? Just like you need to stay on top of your personal health by scheduling regular doctor visits, your lab needs to stay on top of its health, too. Conducting an annual or semi–annual check up can help your lab stay competitive, ensure the vital signs are all in order, and make sure processes are operating smoothly and efficiently. How Should Your Lab Conduct a Semi–Annual Check Up? Conducting a semi–annual check up doesn’t need to be a long or arduous process – especially if your lab conducts the check up every 6 months. 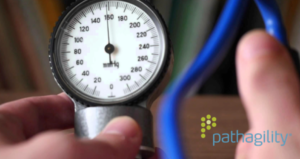 The more often you conduct a check up, the smoother the process and the more your lab staff will understand what’s expected of them, and what metrics and vital signs are most important to your lab’s success. Efficient turnaround times (TaTs) are imperative to the success of your lab. Taking a pulse on how your team and your equipment and lab tech is doing in the area of TaT is one of the most important vitals to monitor. While you likely calculate turnaround time each day – and maybe even more than that – the mid year check up is a prime opportunity to evaluate the last half of the year’s trending TaTs to ensure that your lab is on target, or above target. Many innovative labs leverage new technology to help their teams work smarter, faster, and communicate better – both for the benefit of the lab, as well as the patient experience. These labs need complete visibility and improved communication across their workflows and processes, which inevitably improve turnaround time. Does your lab staff waste time or resources putting together manual and time consuming reports for referring physicians or groups? What is your current reporting process, and are there manual steps that you can work to eliminate? How do you know if your referring physicians or groups are getting the information from the reports that they need? Taking the vitals of the reporting process for your lab can be a daunting process, but a necessary one to evaluate during the mid year check up. Lab data can be integrated into many electronic medical records that provide “summary reports” and “trends” to visualize patient data. During your mid year check up, review your reports to see how they are generated. Generic reports are not sufficient to manage complex tests or reporting that advanced labs increasingly require, so ensuring your reporting structure is up to par is important for your lab’s continued competitive advantage. While there are many ways to improve output for physicians and increase the value a lab can provide, one way to immediately impact value while improving efficiency is to streamline reporting and increase the number of tests and case types that your lab’s reporting software can handle. Advanced labs need the ability to adapt to changing technology and provide interpretive reporting across existing and emerging tests. Platforms like Pathagility – which can serve as a lab’s LIMS or Interpretive Reporting Software – or both, can dramatically increase the output while simplifying reporting. Labs need to deliver reports and lab tests electronically, reliably, and efficiently to referring physicians or clients, all in a timely and affordable manner. Is your lab operating in a connected environment that reduces errors and simplifies processes for everyone involved? Delivering in a competitive market is essential – especially when the patient’s well being is at stake. The mid year check up is a great time to evaluate all of your lab technologies and ensure they are working as one cohesive unit, rather than in silos. Is your technology keeping up with the changes that are happening each and every day in the healthcare and technology world? It’s imperative that your lab stop and evaluate your current vitals every few months, but at least twice a year. The mid year check up is a prime opportunity to review the top 3 ways your lab can reduce error, improve efficiency, and save money and resources across your staff. And not only that, labs should use the mid year check up to ensure they have a plan in place for the remainder of the year. What are other vital signs your lab checks during the year? How do you determine when to make changes? To learn more about how Pathagility can help your lab establish best practices, request a 30–minute demo.